You’re having a baby? Congratulations! Is it a boy or a a girl? 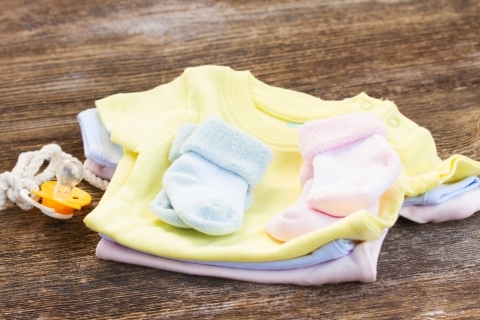 Whether you want to plan the nursery, pick a name, or start shopping for clothes, baby gender testing makes it possible. Until recently, the fun of planning for your baby’s arrival had to wait until after an ultrasound could take a peek to see whether a boy or girl was in your future. Now, you can learn the gender much, much earlier. The Generation® Jack or Jill? Test is currently offered to families receiving clinical testing and as of March 2016 is offered as a stand-alone test. Please contact our office for pricing information. How does gender determination work? The presence of fetal genetic material in the mother’s blood has made it possible to offer a non-invasive prenatal diagnosis to determine the gender of the baby. Since it is non-invasive, there are no risks to the mother or the fetus. The non-invasive approach is seeking Y chromosome-specific DNA in the maternal blood sample. When can it be performed? The gender confirmation test (Y-chromosome detection) can usually be done starting after 11 weeks of gestation. After seven to ten days, you will be contacted with the results. PRESENCE of the Y-chromosome confirms the presence of a male fetus. An ABSENCE of the Y-chromosome indicates a female fetus. In rare situations (prior to 11 weeks) there is insufficient fetal DNA in the blood which will trigger an inconclusive or non-reportable result. For properly collected blood samples after 11 weeks, there is a 99% test accuracy. With this baby gender test, you can start painting the nursery!